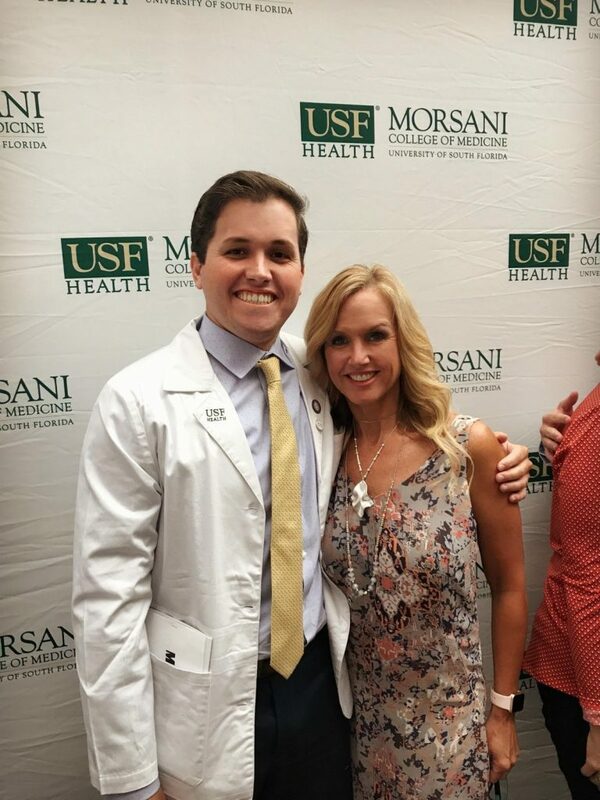 California’s future Dr. Cody McWhirter standing next to his proud mom Michele Klein, both bursting with pride and joy as Cody is accepted into USF Health, Morsani School of Medicine! Is there a Doctor in the house? This has been a common question for centuries in many emergency situations as we are all too familiar with these words. However in this particular case in the Klein residence of Long Beach California, be it known that Cody McWhirter son of Michele Klein, will soon be able to say Yes! there is a doctor in the house and, I am here to help you! My name is Dr. Cody McWhirter. Cody McWhirter according to his grandmother Penelope Woodside, resident of Long Beach, stated to Home & Realty Magazine, that it has been her grandson Cody’s ultimate desire ever since he was a young boy to be able to complete medical school and go on to becoming a doctor. Cody according to his gram and Michele, has always been an honor roll student and high end achiever in every aspect of his development, as a youth, and now continuing his career entering into his first year of medical school. It’s always great to have a grandmother and a mom who believes in you! Cody McWhirter and Sean Senozan best of friends since Los Alamitos High School. 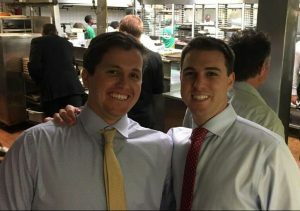 Another interesting part of our story is Cody’s best friend Sean Senozan, also a former Los Alamitos, beach boy! Pictured below, with Cody, is Sean, on (right). Growing up during high school days at Los Alamitos High, Cody’s mom Michele, thought she had two sons! Sean Senozan, and Cody were best of friends and did everything as a team. 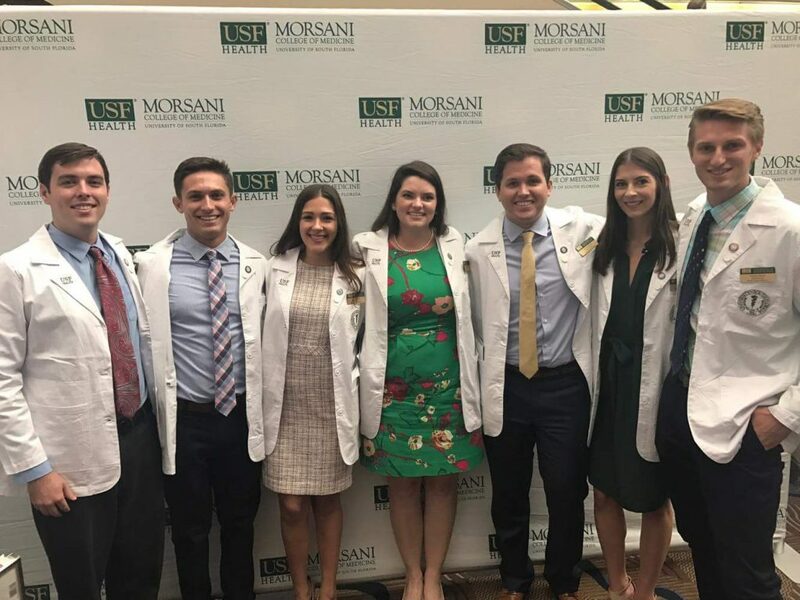 Sean now completing medical school and beginning his rotations. Cody was recently accepted into medical school and will be grinding out some of the most challenging days and nights of his entire academic career! 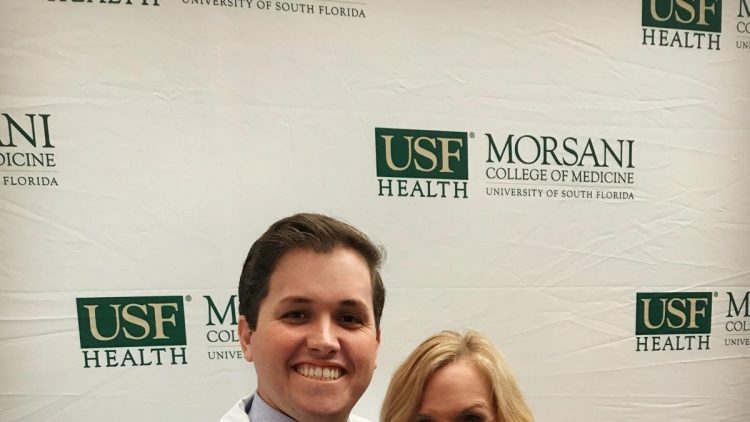 Cody has already made USF Health, Morsani College of Medicine his new home in southern Florida! Sean flew in for the white coat ceremony. The proud white coat team! 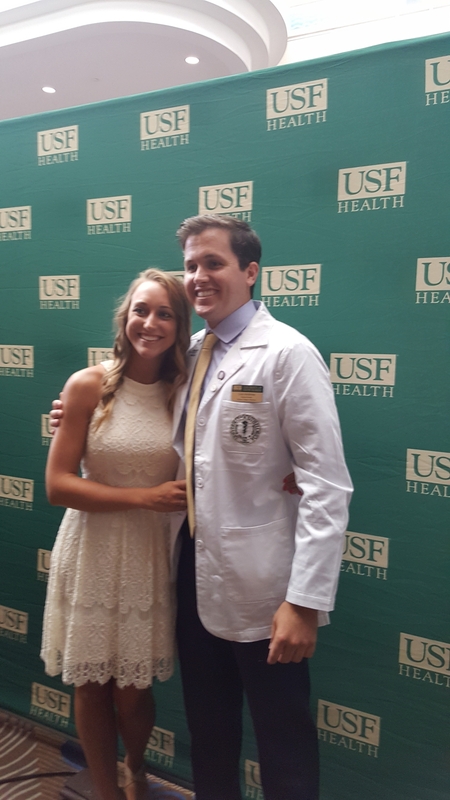 Cody celebrates with girl friend Kaylee Traver who flew in for Cody’s white coat ceremony. And as every great story unfolds the handsome doctor soon to be, falls in love with the beautiful Physicians Assistant soon to be and Grandmother Penelope Woodside, and Michele Klein, Cody’s proud mom, stand by the two of them as they get ready to hit the books in their respective career journeys. We wish Cody McWhirter, Kaylee Traver, and Sean Senozan, the very best of everything in their new adventures!